It’s all true what they say about this lake. Right, it’s a lake despite its name. 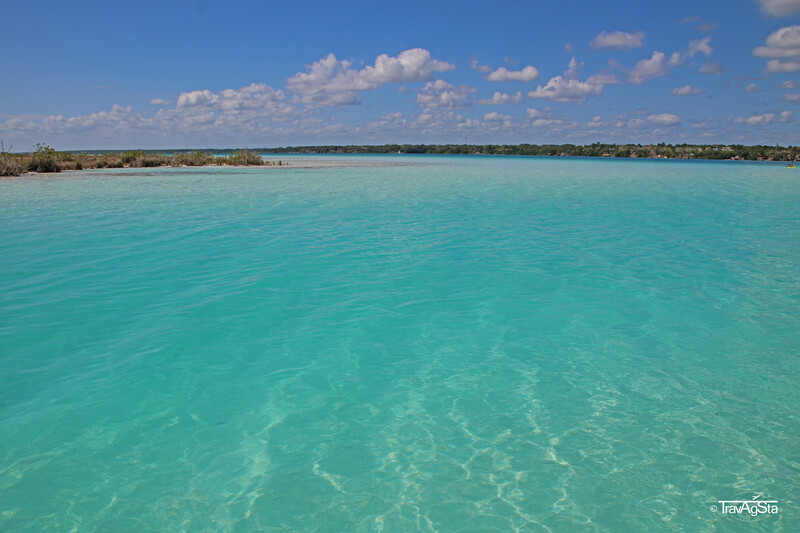 ‘Laguna de Bacalar’ is located in the state of Quintana Roo and was formed by the merger of seven Cenotes (limestones). 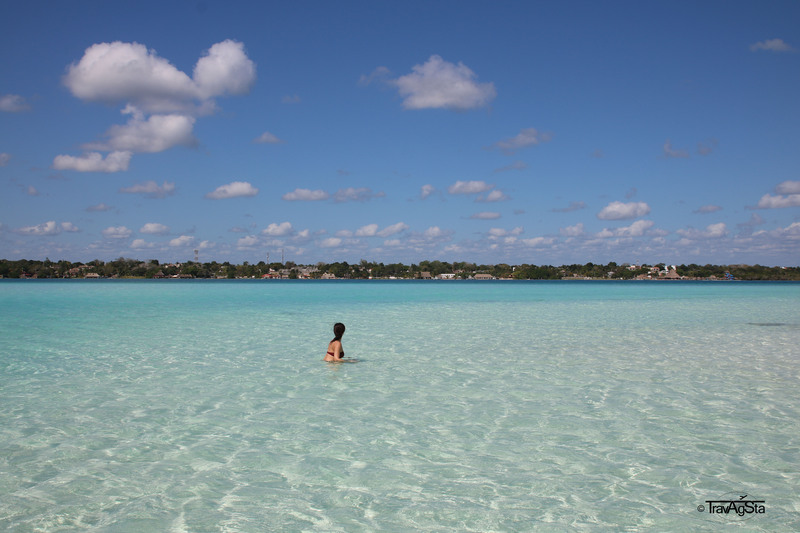 It’s called lagoon because of the blue shades of the water. 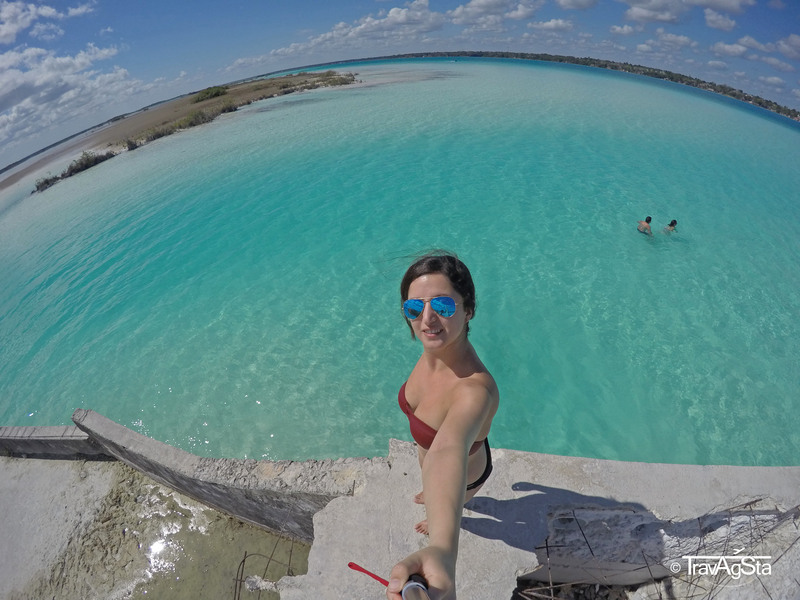 Therefore it’s also known as the ‘Laguna de los Siete Colores’ (lagoon of seven colours). 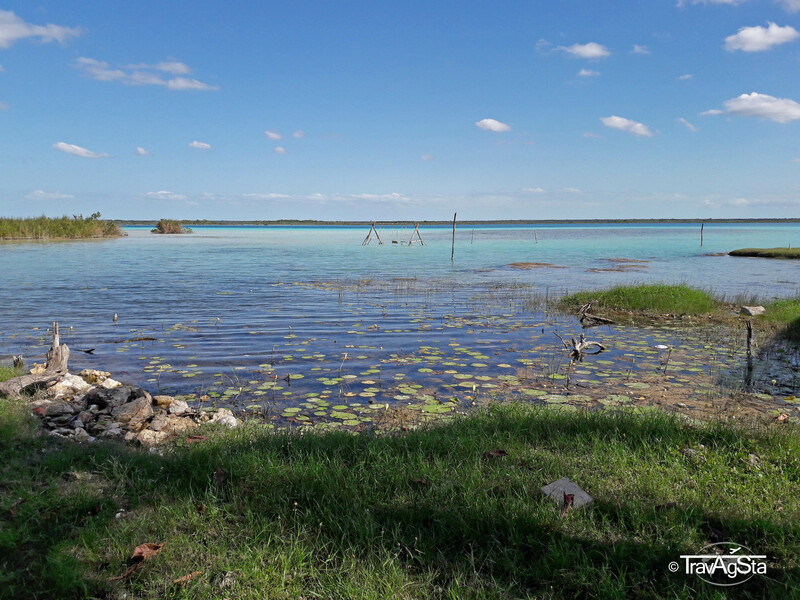 Laguna de Bacalar is one of the most beautiful places on earth – it’s not exaggerated to say that. The lake’s colours in combination with the peaceful atmosphere and the calm and quiet town let you fall in a deep relaxation mode. It’s the most beautiful lake ever. 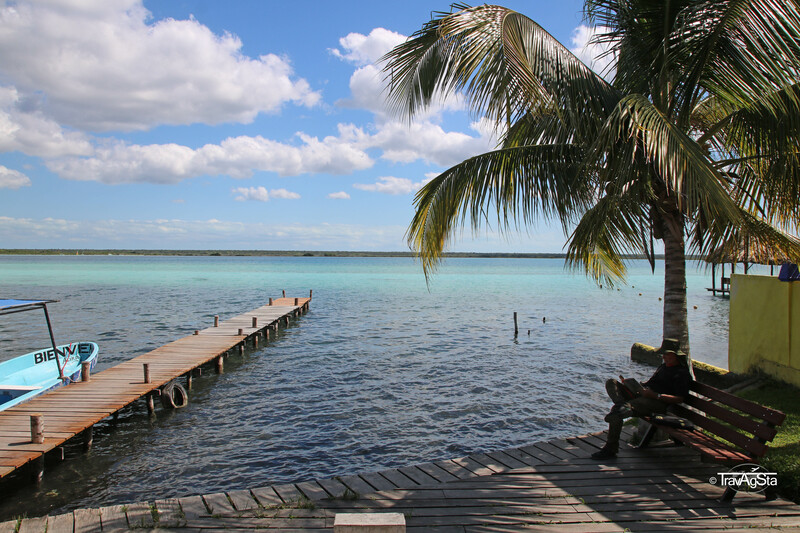 It’s not easy to find ease on the Yucatan peninsula but the Laguna de Bacalar makes it possible. 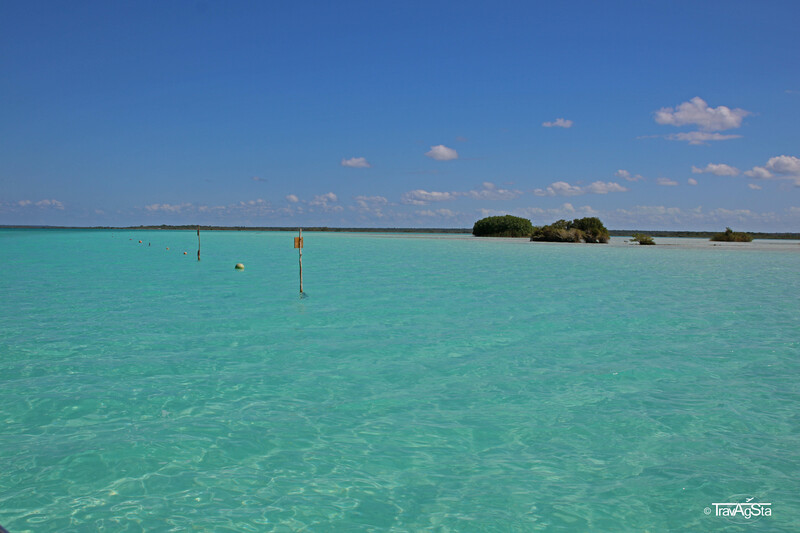 The many shades of blue aren’t the only highlight in Laguna de Bacalar. 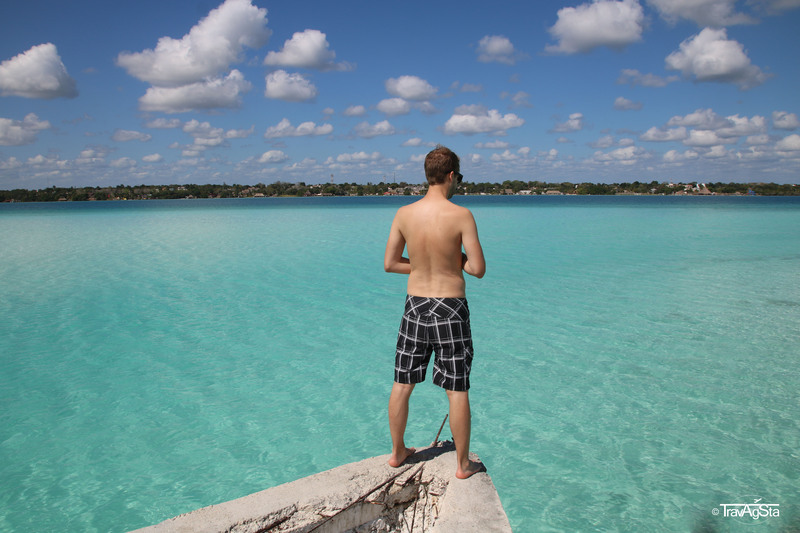 As written in the beginning, there are seven Cenotes to discover. 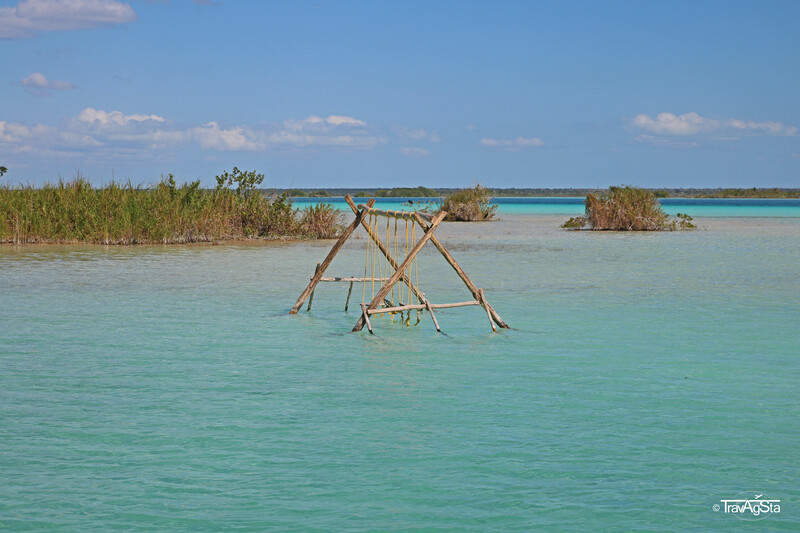 Some of the tiny islands in the ‘lagoon’ are the home of rare birds. Therefore they became nature reserves and access is not allowed. 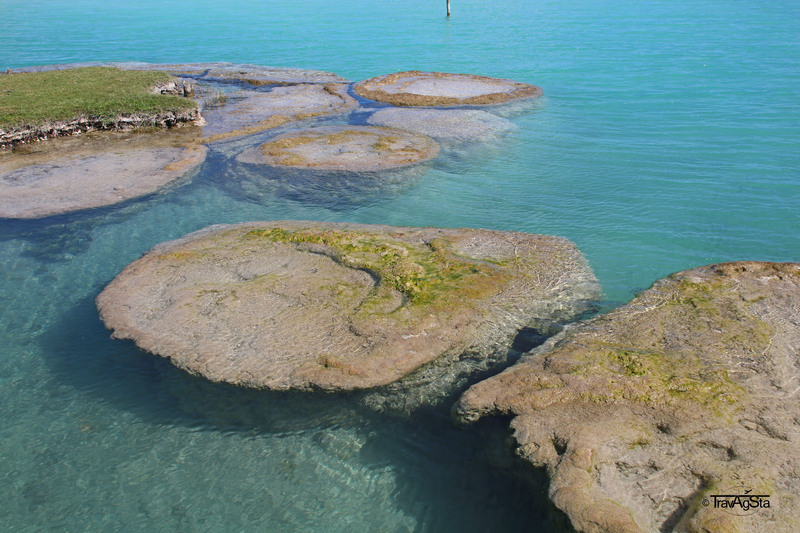 Furthermore, the lake is known for stromatolites, which only exist in very few places on earth. You can read more about them here. You must not touch them, but they’re a perfect photo opportunity. This place isn’t so much about doing something. More like swimming, relaxing or admiring Mother Nature. It’s a pity, there are only a few ‘free’ accesses the lake – mostly you have to use hotels’ or restaurants’ private beaches or piers. And most of the time, you have to pay a fee to enjoy the view or go swimming. What you shouldn’t miss is a boat trip on the lake. 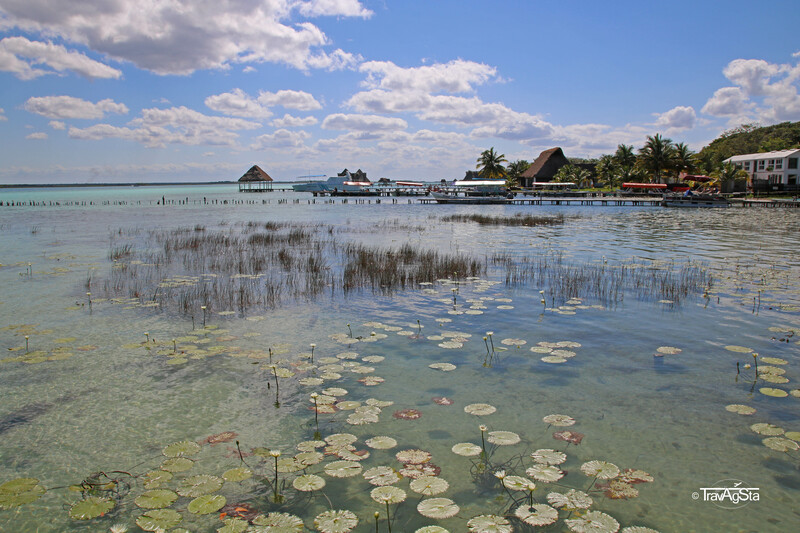 The ‘standard’ tour includes the three largest Cenotes (Cenota Negra, Cenota Esmeralda and Cenote ‘Forgot the name’). The boat trip itself is quite short but amazing. 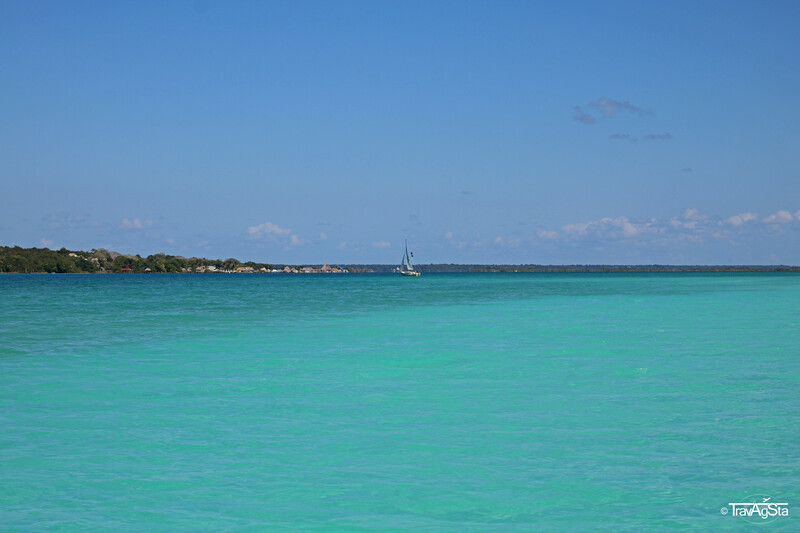 The whole boat ride was perfect to watch the water’s colours constantly changing. Unfortunately, the pics just don’t it justice. We try to keep this one short: We wanted to visit this hotel’s restaurant to see the ‘famous’ swings in the water. Just to swing. Yes, swings and hammocks in the water are awesome. Unfortunately, the hotel charges you 200 Pesos each person as minimum consumption for non-hotel guests which would have been ok actually, if we hadn’t had lunch before. 400 Pesos (around 20$) just for drinks was too much in the afternoon. We thought maybe this info might be useful to you. A little bit disappointed, we left the Los Aluxes and continued to drive along the main road, until we found this relaxed camping site. Entry fee to this paradise was just 25 Pesos. Thank God, we didn’t stay at the Aluxes. The ladies working here were super friendly and the atmosphere was totally relaxed. It reminded us a little bit of a hippie commune. 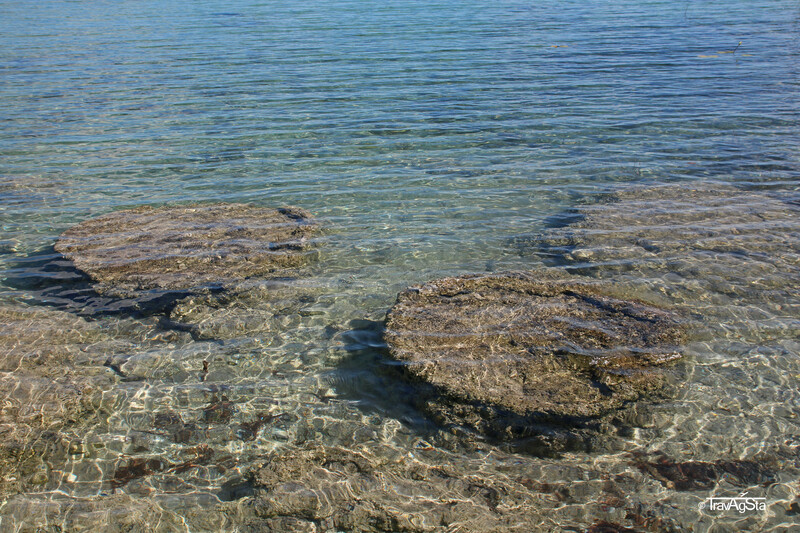 If you want to go swimming, have lunch or just see stromatolites, the is the place to be. And they have swings here, too. Gotcha, dear Los Aluxes! End of January can be seen as some kind of low season in the main season in Mexico. 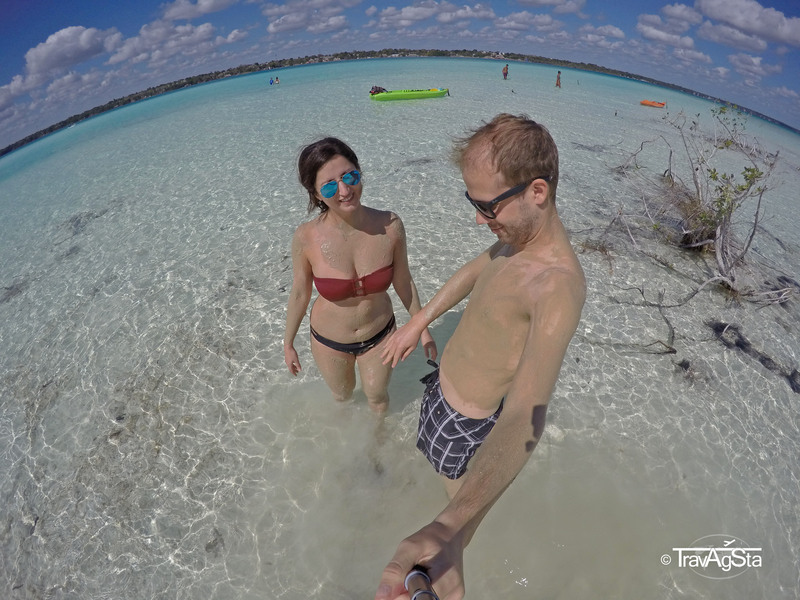 But in Bacalar, it really felt like low season. 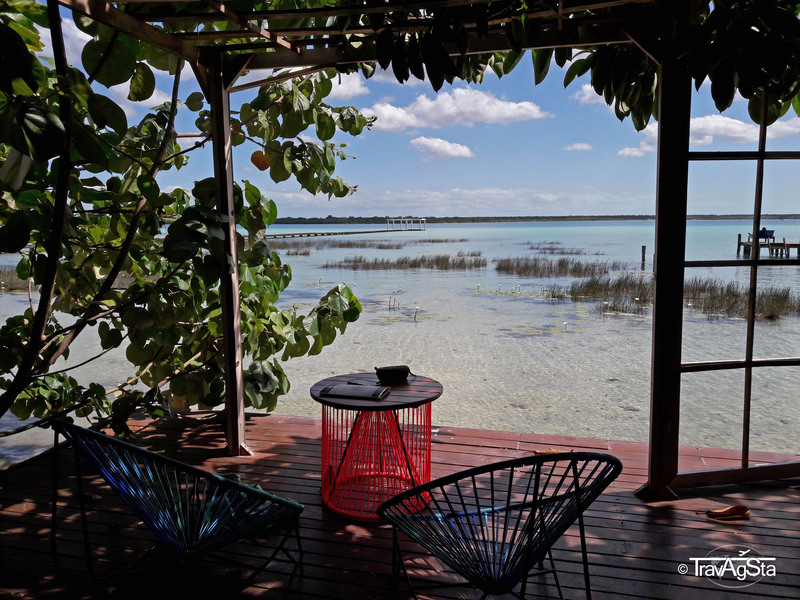 There are a few hotels and restaurants, but not too many of them to feel crowded. Tour providers are suffering during low season. Some of them waited on the main road to stop as many gringos as possible, by jumping out of the bushes like exhibitionists. Most of the time without success, unfortunately. 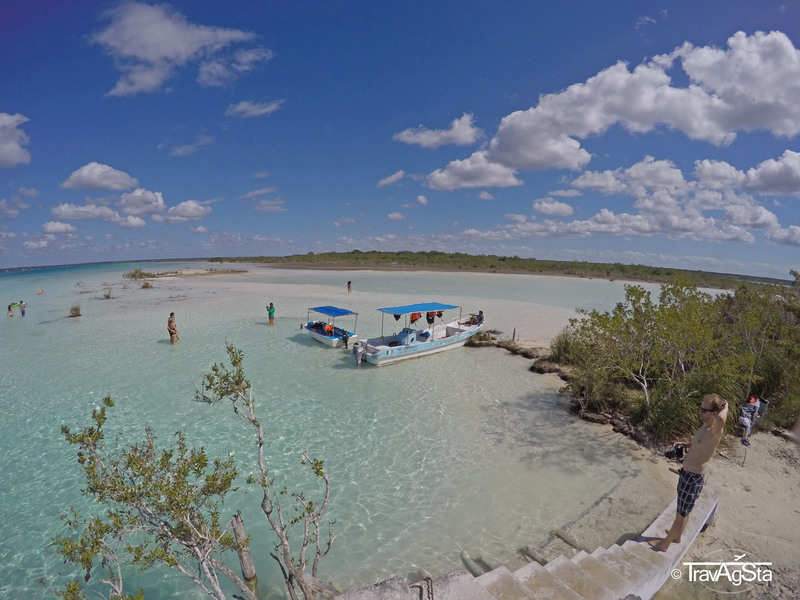 There’s just no need to make more than one boat trip. Thanks to this ‘competition’, prices were low. 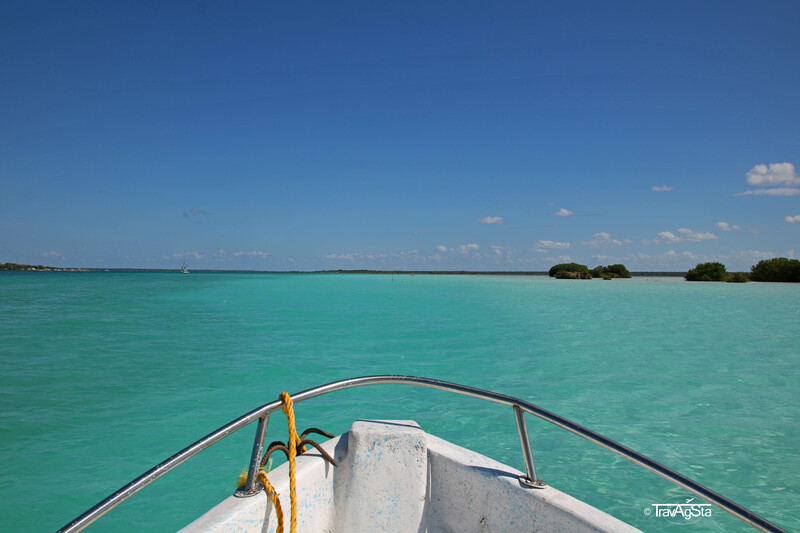 We made a private boat tour for only 700 Pesos (after bargaining). 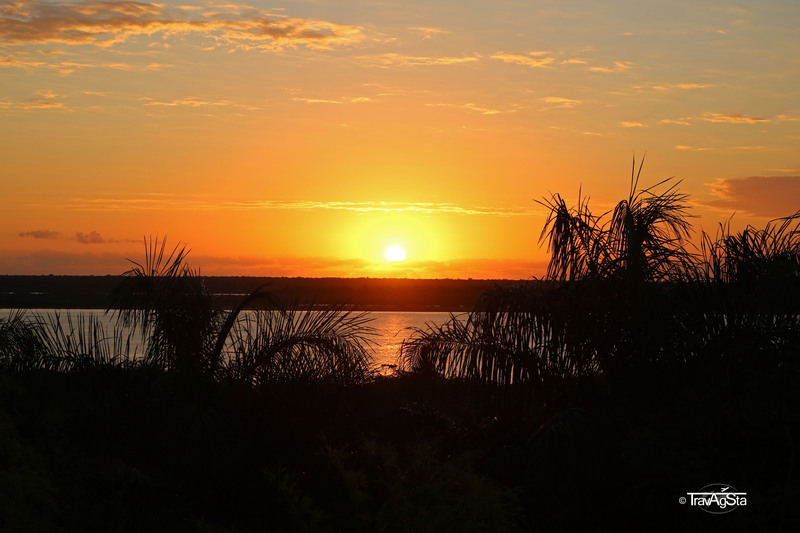 If you can somehow manage it, try to get up early and enjoy the beautiful sunrise over Laguna de Bacalar. Our hotel (Hotel Tuparenda) had a huge roof terrace looking east. For this view, we loved to get up early. 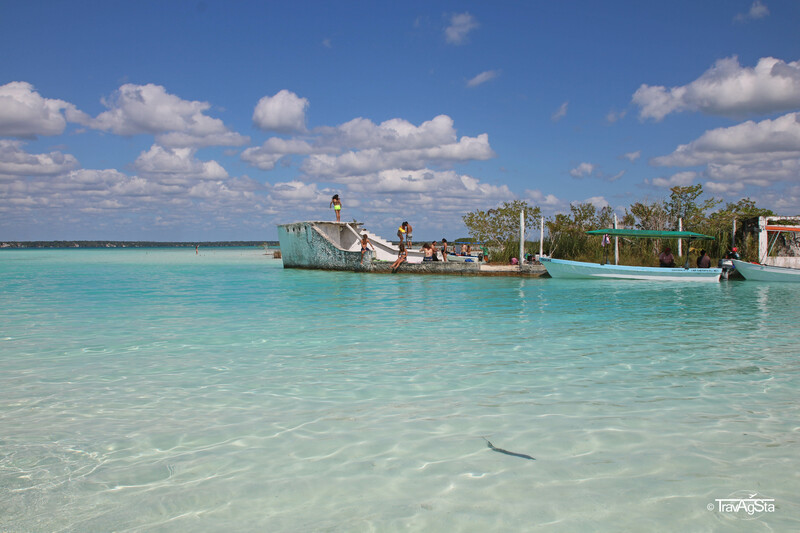 If you have any questions regarding Laguna Bacalar or something else, just contact us via mail or leave a comment below! 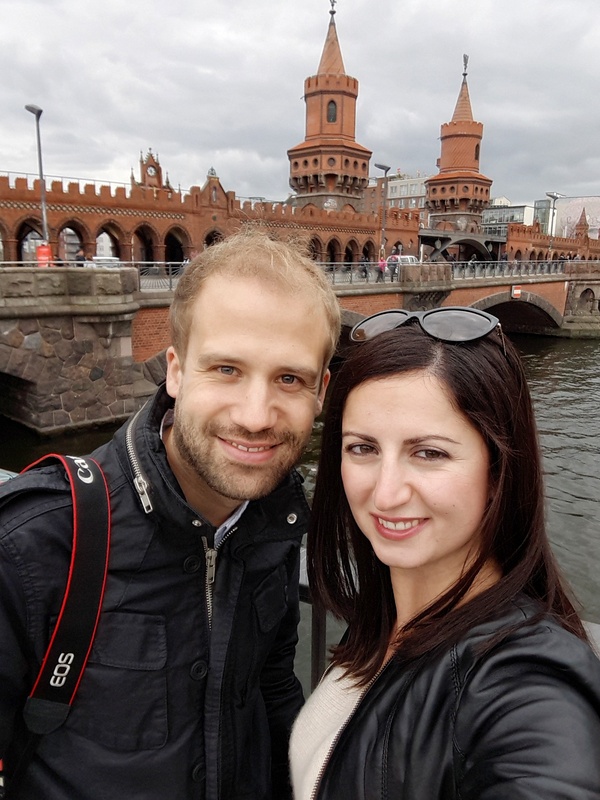 Our itinerary for western Balkans in 10 days! 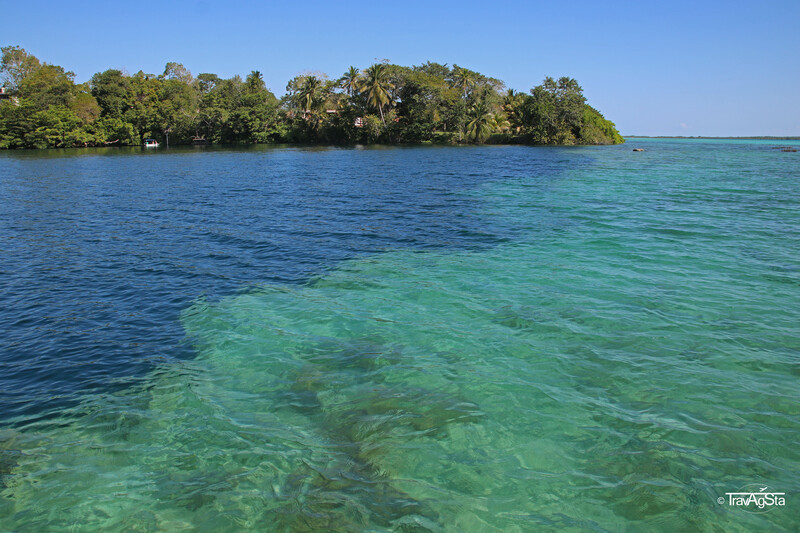 Why you should visit the Prince Islands!